To apply for a position on the Independent Taxpayer Oversight Committee, click here. NVTA and the Napa County Transportation and Planning Agency (NCTPA) share common Boards and are administered by common staffs. NCTPA is a joint powers authority (JPA) established in June of 1998. The JPA is made of Napa County and the Cities and Town located in Napa. The work activities of NCTPA are defined by the joint powers agreement and overseen by the Board of Directors made up of elected officials from the respective member agencies, and an ex-officio member from the Paratransit Coordinating Council (PCC). NCTPA serves as the countywide transportation planning body for the incorporated and unincorporated areas within Napa County and is responsible for programming State, Federal, and certain local funds for transportation projects within the County. NCTPA is further charged with coordinating short and long term planning and funding within an intermodal policy framework in the areas of highways, streets and roads, transit and paratransit, and bicycle improvements. NCTPA also operates the Napa VINE transit services, serves as the Abandoned Vehicle Abatement Authority, Green Business Coordinator, regional housing needs allocation (RHNA) Napa sub-regional coordinator, and van pool coordinator (in partnership with Solano County). The Napa Valley Transportation Authority (NVTA) is the local transportation sales tax authority. On November 6, 2012, the voters in Napa County approved Measure T, the Napa Countywide Road Maintenance Act. 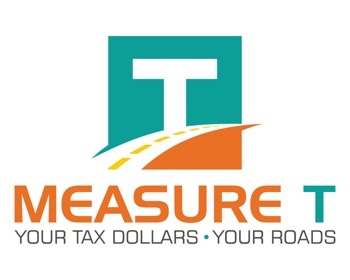 Measure T is a ½% sales tax expected to generate roughly $300 million over a 25 year period beginning July 1, 2018, when the Measure A Flood Tax expires, and is to be used for the rehabilitation of local streets and roads. These members will constitute the voting members of ITOC.In addition, the NCTPA/NVTA Chair and Executive Director and the Chair of the NCTPA Technical Advisor Committee (TAC), and the County Auditor-Controller will serve as non-voting ex-officio members of the ITOC. As previously stated, all voting positions have been filled with the exception of e) a Certified Public Account, and f), a representative of a Napa region Chamber of Commerce. The voting Committee members will serve a two, three, and four year term, determined by the drawing of lots.This is to establish staggered terms to retain institutional knowledge on the Committee.Thereafter, Committee members will serve four-year terms. The voting Committee members shall receive a stipend of $250 per quarterly meeting. The voting Committee members cannot be current local elected officials in Napa County or a full time staff member of any city, town or county government, a local transit operator, or state transportation agency. ITOC voting members shall have no legal action pending against the Authority and are prohibited from participating in any commercial activity directly or indirectly involving the Authority or NCTPA, such as being a consultant or vendor to the Authority or NCTPA during their ITOC tenure. ITOC voting members shall not have direct and/or indirect commercial interest or employment with any public or private entity which receives transportation retail transactions and use tax revenues authorized by this Ordinance. To apply for one the open positions, please submit your application and resume through NCTPA’s website. The application can be accessed on the NCTPA Measure T webpage at: http://nvta.ca.gov/measure-t. Positions will be open until filled. Please direct any questions to Karrie Sanderlin, Secretary of the Board (ksanderlin@nctpa.net or 707-259-8633).